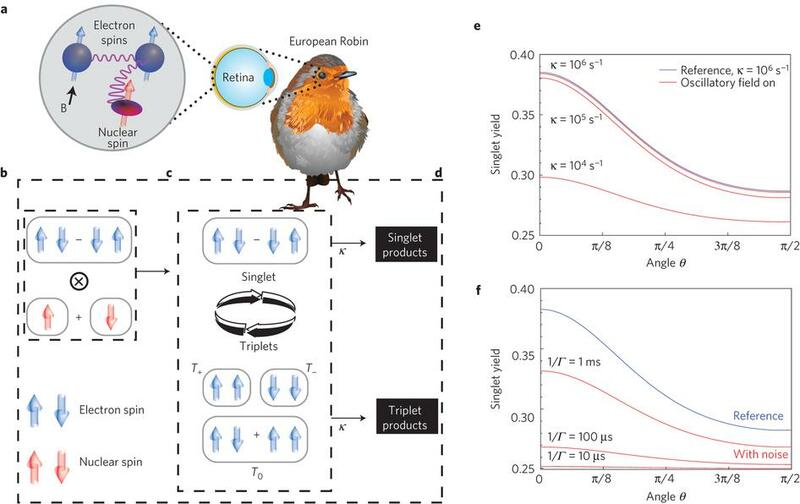 Requirements suggested for the functioning of this type of avian navigation involve a suitable molecule in the retina and one that is capable of being active at night. It is considered possible that the bird might actually see the Earth’s magnetic field. In 2000, the blue-light receptor cryptochrome was suggested as a candidate for being involved in sensing the Earth’s magnetic field. Cryptochrome is the only photoreceptor molecule that is able to form radical pairs. Studies suggest that radical pairs are sufficiently long-lived to support interaction with the Earth’s magnetic field. 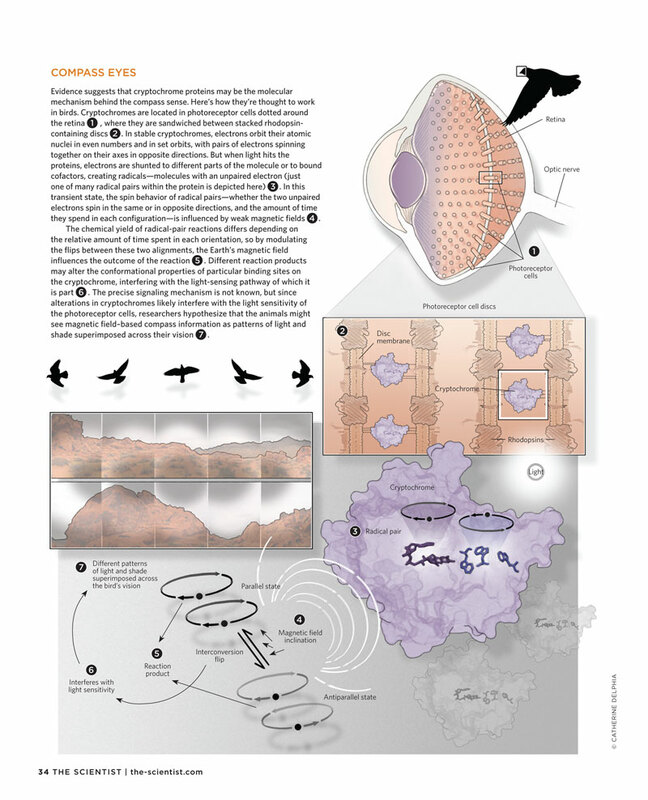 Cryptochrome is found in retinal cells that are active when birds orientate magnetically. Demonstration of the existence of cryptochromes in the retina of night migratory birds in 2004 set the scene for subsequent experiments. In such migratory birds there is a high level of cryptochrome expression at night, something that is not found in non-migratory birds. This is viewed as being a special adaption of night-migratory birds. An increasing amount of evidence suggests that cryptochrome expressing retinal cells are directly linked to the ‘cluster N’ visual region in the birds’ forebrain that show high levels of movement-independent activation when birds orientate magnetically under dim light conditions. Moreover, lesions to cluster N disrupts magnetic orientation.